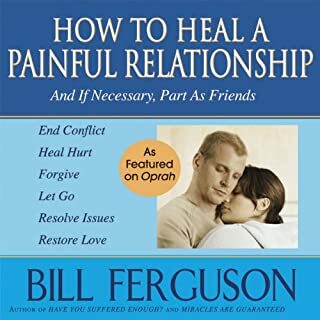 Featured on Oprah, this book shows, step-by-step, how to end conflict and restore love in any relationship. You will learn what creates love and what destroys it. 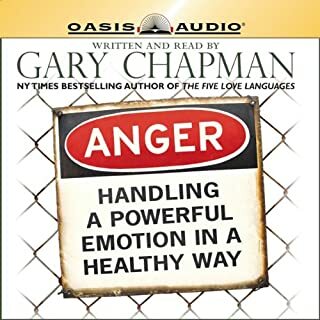 You will learn how to end conflict, heal hurt, release resentment, communicate, resolve issues, and restore your peace of mind. Bill's experience as a former divorce attorney provides rare insight into the nature of relationships. The author of this book was featured on Oprah. 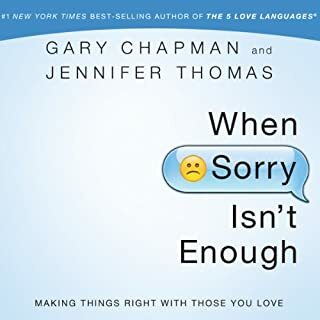 Boasting more than one million copies of his works sold, conservative radio personality Dr. James C. Dobson squarely addresses the problem of troubled marriages. He targets infidelity, alcoholism, spousal abuse, and emotional distance as the primary causes of divorce. Dobson also chooses to denounce homosexuality as an abomination. With his groundbreaking theory of "loving toughness", he offers a path toward solving marital problems, building family values, and rekindling lost romance. You can't put it into words, but something is happening to you. Your stomach churns, your heart aches, and the tension in your marriage is making you feel weary and a little crazy. The constant criticism, disrespect, cruelty, deceit, and gross indifference are eroding your confidence and breaking your spirit. For any woman caught in an emotionally destructive marriage, Leslie Vernick offers a personalized path forward. You may not feel like reconciling. You may not see hope for a reunion. But the biblical ideal for a separated couple is reconciliation. So how do you do it? When doors slam and angry words fly, when things just aren't working out, and even when your spouse is interested in someone else, there is hope. The Word of God is active and powerful. It offers the salve needed to heal lives, and that salve can heal marriages, too. Hope for the Separated will show you that by following the proven advice of God's Word you can achieve reconciliation with your mate. I stumbled across this book within days of separating from my husband of 16 years. (It had to be a God-thing as I was actually looking for a novel that might take my mind off my troubles.) Despite the desperate circumstances that brought about the marital separation, I wanted reconciliation, not an end to the marriage. Still, I knew rough waters were before us. What a blessing this book has been! It is practical, wise, down to earth, and founded on solid biblical principals. I recommended it to my husband, and he agreed to listen to it. We have now decided to purchase bound copies of the book as well to aid us as we work toward not just living together again but toward making our marriage all that it should be. 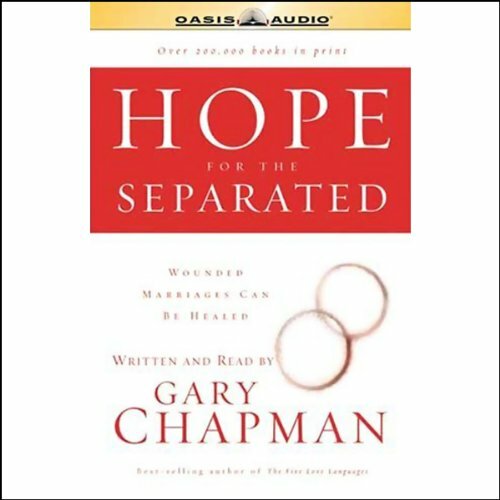 I highly recommend this book for anyone looking to restore a broken marriage. 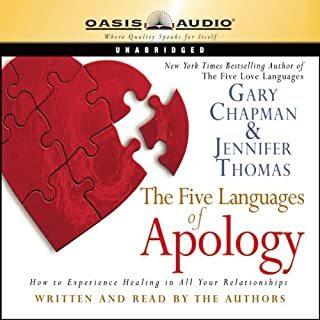 I pray that this book and help start the Reconciliation to my wife and I.
I hurts so much and I'm scared to loose the one that I love so much. So, thank you for Gary for getting me started in the right path to victory in Jesus. Very practical guide for how to reconcile after separation as well as how to deal with not reconciling. Fair representation of each partners responsibility. Strong Christian perspective, but useful for any persons. Clearly a worthwhile commitment to devote the time to read/listen too if you are searching for some supportive and constructive methods for understanding separation. While I am not married, this information was very relative to long term relationships with a significant other that is currently in separation or ending state. pretty good, some points I'm not sure really lined up with the Bible. overall was good and eye opening. this book was a great read and really inspires hope. i cheated on my girlfriend when we first got together and a little while after, then i married her knowing that. 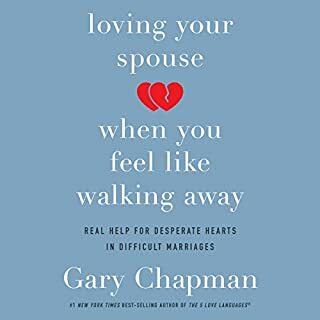 i finally told her about it and we are currently separated, she maybe filing for divorce in the next month, i just wish i could get her to read this book!! This covered helpful information beyond the scope of separated couples and is comprehensive by addressing various relational situations. 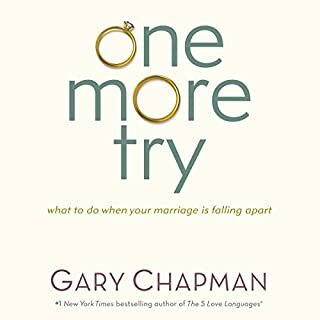 Having watched the movie Fireproof and gone through the Love Dare repeatedly, the information in this book also served as confirmation for the Love Dare and included other helpful relevant topics. Boring it was a wasted credit that I could have been used on another book!!!!! Going through a divorce, this has helped me regain hope. The best had to be the last couple chapters. God allows them to choose and if the other is a Christian He will press them. A lot of decent advice mixed in with a lot of incorrectly applied Biblical passages.